Rack Petroleum’s Corporate Head Office is located in Biggar Saskatchewan on the corner of Highways 4 and 14. There are Retail office, Chemicals Shed and Fuel Cardlock Station alongside with the Corporate Office on this site. Corporate Head Office of the Rack. 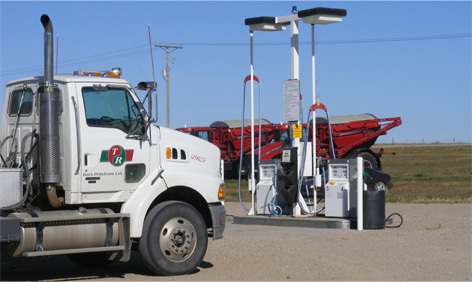 Agronomy and Field Managers, Fuel manager, Accounts Receivables and Payables staff can be found here at customers convenience. Thus, if you have questions such as contract terms and conditions, price issues or other general concerns pertaining to your agricultural work cycle, feel free to drop by during working hours. Working hours of the Rack Petroleum Head office are from Monday through Friday from 8:00 a.m. till 5:00 p.m. with lunch hour from 12:00 till 1:00 p.m. 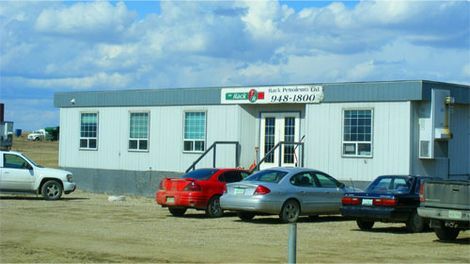 Rack Retail office in Biggar, Saskatchewan. Rack Retail Office – is situated in the Western Industrial Area of Town of Biggar Saskatchewan. Our Biggar Retail Manager as well as location agronomists are operating out of this office to better serve our customers. All inquiries related to farm purchases and agronomy services can be addressed here. Hours of Operation: Monday – Friday 8:00am – 5:00pm with extended hours from May 1 until August 1. The Rack Petroleum Fertilizer warehous (Fertilizer shed) is a commercial building for storage of Urea, Mono-ammonium Phosphate, Sulphur and Potash fertiliser. 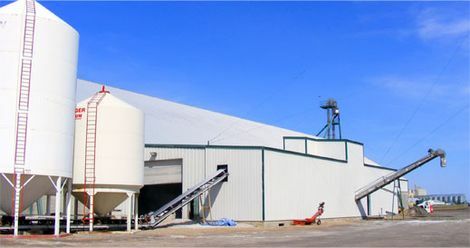 The Rack Fertilizer shed (warehouse) is the large plain building in industrial area of town of Biggar. It is equipped with loading docks to load and unload trucks; It's also loaded directly from the railway. There are several bobcats for moving goods, which are stored in bulk. The storing capacity of the Rack Petroleum Fertilizer shed in Biggar is about 20 thousand metric tones (20,000.0 MT). The approximate yearly turnover ranges from 35 to 45 thousand MT. Many big fertilizer producers became whole sale partners for the Rack. The Rack Petroleum Chemical warehouse (Chemical shed) is a commercial building for storage of 2,4-D Amine, Achieve 480, Agrotain, Amitrol, Apron Maxx, Assert, Attain, Avadex Micro Active, Avail Liquid Concentrate, Benchmark, Bromotril, Calmix, Casoron, Credit, Decis Ec, Dividend Xl Rta, Express Sg, Frontline Bulk, Gemini, Headline, Horizon 40ac, Liberty, Lontrel, Loresban, Maverick, Mcpa Amine 600, Merge 8l, Mextrol, Micro Coptrel, Odyssey, Prepass 40acre, Puma Super, Raxil T, Renegade Hc, Rival, Roundup Transorb, Roundup Weather Max and other plant protecting chemicals. 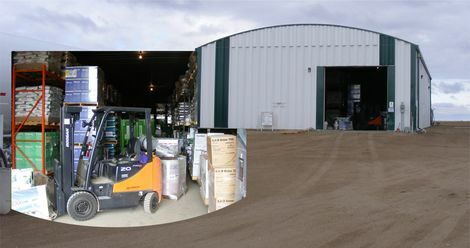 Rack's chemical shed (warehouse) is the large plain building in industrial area of town of Biggar close by the main office and fuel cardlock system of the Rack. It is equipped with a forklift for moving goods, which are stored in drums, jugs and cases. The storing capacity of the Rack Petroleum Chemical shed in Biggar is about several thousand liters.